With the online market growing so rapidly, how is anyone meant to know where’s best to shop that will satisfy their needs? Well look no further. I’m here to give you the online rundown of fast fashion e-commerce sites. As a keen shopper, I can speak about my personal experiences with the majority of online fashion brands, however, with me only being one person comes the issue that I am only one body. So it’ll obviously limit any scope of online shopping reviews. But have no fear! I will use reviews from online users as well as friends in order to provide you with the best places to buy your ‘garms’ this season. While the majority of online fashion sites offer a wide range of products – they all have their specialisations. Of all of the online fast fashion retailers, arguably ASOS is the most popular. They have a wide range of sizing categories for both men and women, on average, these seem to be largely accurate whether that be petite, tall, plus size or maternity. With this comes the exceptional quality of their clothing. ASOS’ own label is not only affordable but it satisfies when it comes to the standard of their products too. On the other end of the spectrum, there are brands like Boohoo and Missguided which are infamous for their poor sizing. They do offer inclusive sizing options, however, there has been widespread controversy on multiple occasions over their choice of models and their products inaccurate fit. However, recently, Missguided appear to have upped their game on the inclusivity front. By running multiple body positivity campaigns including #InYourOwnSkin which celebrated natural beauty and pledging to stop retouching their models. This is a step in the right direction as they do offer an extensive range of mostly good quality yet inexpensive clothing – just their sizing can be a bit hit and miss. 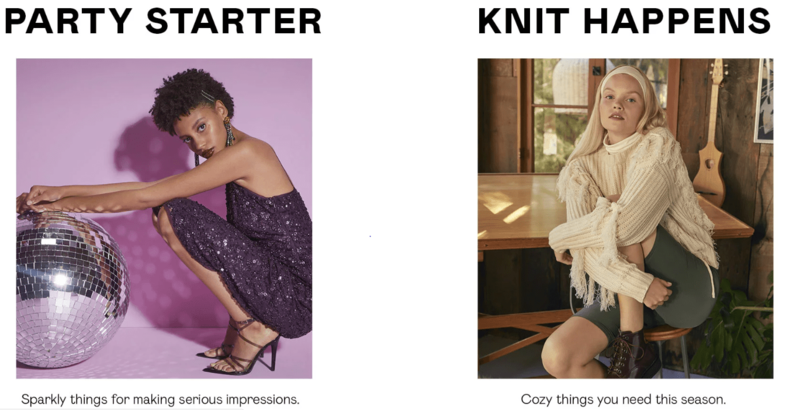 This is where we reach the middle ground; brands that aren’t bad, however, there is nothing necessarily exceptional about them either, this classification sees sites such as Forever 21 and Nasty Gal. These two retailers offer a slightly smaller range at a standard level of quality. Forever 21 offers a plus size range, however, no tall or petite option. Similarly, Nasty Gal offers ‘more sizes’, which is a section on their site which features clothing ranging from a size 4 to a size 22, however, again; they do not offer tall or petite sizing. Despite these factors, clothing from these two companies is usually pretty standard and cannot be faulted. Finally, to round off my findings, retailers Pretty Little Thing and Boohoo are notorious for their poor quality. Pretty Little Thing slightly have an upper hand, in the fact that not all of their products have this issue. Boohoo, however, is known solely for the fact that all (okay, slight exaggeration), but much, of their clothing is transparent and is made with the poorest quality fabrics that can be found. In addition to this, as previously mentioned, Boohoo’s sizing is highly inaccurate, particularly for us taller individuals – ankle-biter city, let me tell you! To round off my research, the top brand to find your next showstopper outfit is ASOS, with their great fit, quality and range of clothing you really can’t go wrong! Next up, is Missguided, although their sizing isn’t great, you can’t deny that the products that they offer hit the spot. On par with Missguided is Pretty Little Thing, arguably, they can be very hit and miss, however, for such a low cost and large product range, what are you waiting for?! Following this, Forever 21 and Nasty Gal are your next best bet. For tall or short gals they may not be ideal but for anyone in-between, you’ve found yourself a steal. Cheap yet cheerful clothes that will sort your wardrobe right out. No more mornings of ‘I have nothing to wear!’. 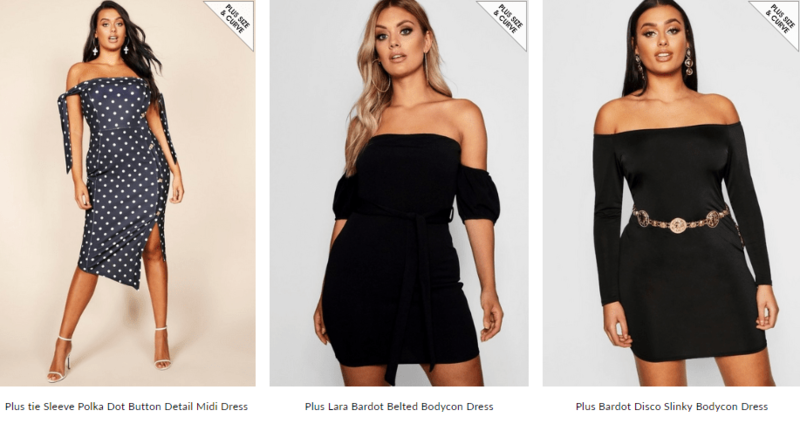 At the end of the spectrum is Boohoo, I wouldn’t disregard it completely, however, with other very similar retailers like Missguided and Pretty Little Thing that offer almost identical items at the same low cost but twice the quality – you should probably spend your dollar elsewhere!